These individually packaged Air-Tite holders are perfect for resale. They are packaged in archival safe material and have an attractive package that will look great hanging in your retail store. Air-Tites are packaged here at JP's Corner and sealed to ensure that your coin capsules will be free of scratches and dust. 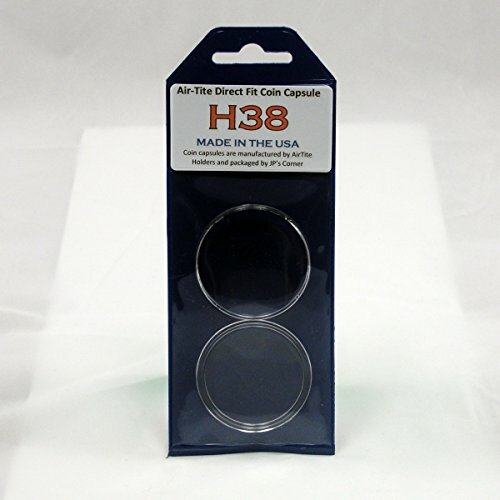 Genuine direct fit Air-Tite coin holders are made in the USA of clear Acrylic plastic. They are the top of the line coin capsule and 100% archival safe. If you have any questions about this product by JP's Corner, contact us by completing and submitting the form below. If you are looking for a specif part number, please include it with your message.